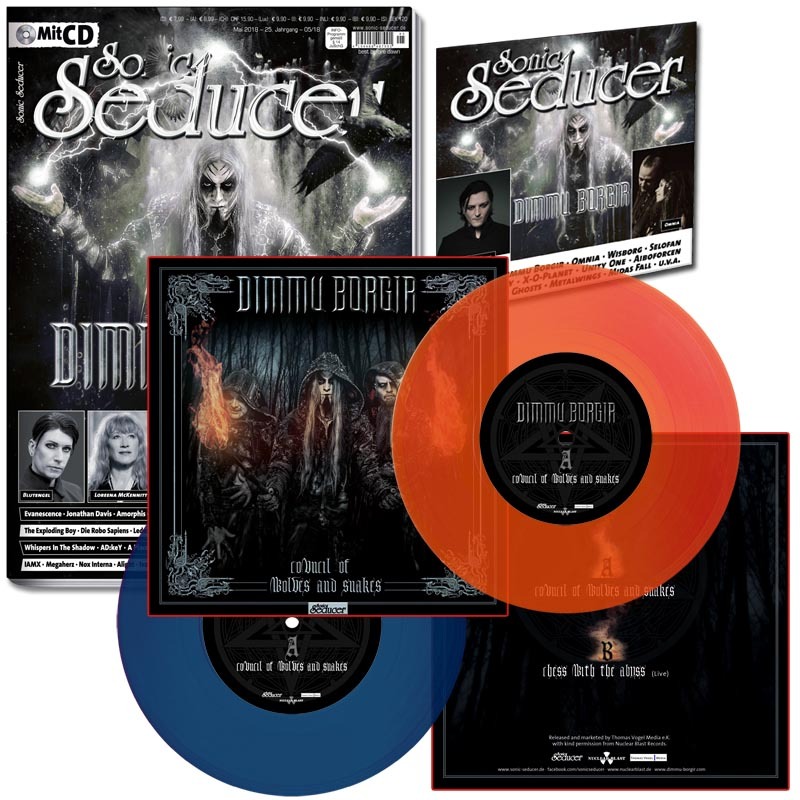 Strictly limited edition: Sonic Seducer 05/2018 with deluxe 7" vinyl single from Dimmu Borgir (orange-transparent: 199, blue-transparent: 199, black: 99) + cover story and brimful CD cont. 17 new Tracks; in the mag: Blutengel, Loreena McKennitt, Rabia Sorda, Drangsal, Evanescence, Jonathan Davis, Amorphis etc. Deluxe version in a box sleeve + booklet incl. hand-written lyrics and black vinyl inner sleeve.